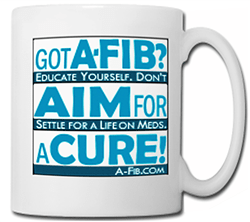 When Sandy developed A-Fib in 2002, she insisted on managing it with drugs (but no blood thinner). At the time she was also coping with persistent vertigo and dizziness from a traumatic brain injury, an increasingly abusive spouse and ultimately no health insurance because of her pre-existing condition (until she became Medicare eligible). 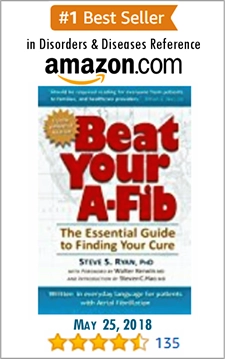 Hi, Dr. Ryan and everyone at A-Fib.com. I would like to update you. After my [successful] CryoBalloon ablation at BWH in 2014, I underwent a sleep study that revealed during REM sleep I stopped breathing an average of 32 times every hour. My physician suspected that my traumatic brain injury in 1995 caused my undiagnosed sleep apnea, which in turn caused Paroxysmal A-Fib. I have been using a CPAP since July 2014. 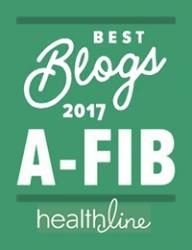 Not Even One A-Fib Episode Since February 2014! 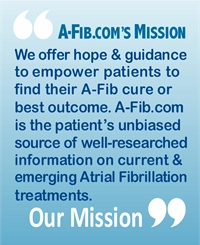 I cannot thank you enough for your website and the info you provided to me that led to my CryoBalloon ablation. My physicians and I knew that I was headed for a stroke. My prayers were answered when I found your website. You saved my life! Thank you. I’m also off all medications—no blood thinners or beta blockers!!! YEA!!! We are so happy for Sandy. With the struggles she has dealt with, she deserves all life’s blessings. 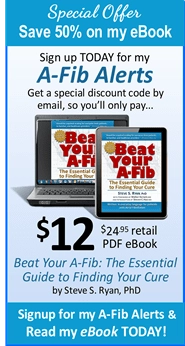 It’s a miracle that Sandy lasted 12 years in Paroxysmal A-Fib without going into permanent (persistent) A-Fib. Many people go chronic in one year. Should You be Tested for Sleep Apnea? Sleep apnea is very often a trigger or cause of A-Fib, probably because of the strain and labored breathing it puts on the Pulmonary Veins where most A-Fib comes from. Ask your sleeping partner if you snore or have labored breathing while you sleep. The remedy is usually simple and works very well. 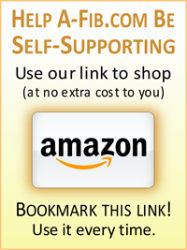 To learn more, see our posts: Sleep Apnea: When Snoring Can Be Lethal and Sleep Apnea: Home Testing with WatchPAT Device and the Philips Respironics.